Tchaikovskaya N.V., Kuzichkin O.R., Sharapov R.V., Kuzichkina E.O. The problem of the nuclear power plant construction at the site of Monakovo in Nizhny Novgorod region is characterized by high karst danger. The data on the reasons for the site selection is given. The issue of insufficient EIA study is discussed. The results of karst and suffusion processes research, conducted by the team of Murom Institute (branch) of Vladimir State University at Monakovo site, are presented as well. The results have confirmed the potential danger of the area intended for the nuclear power plant construction. The area of Monakovo nuclear power plant site is surrounded by a large number of karst displays which does not provide absolute operational safety of all necessary communications infrastructure and power blocks. The site is located on territory of possible development of extremely dangerous natural and man-made processes (1 danger level). This testifies to the fact of extremely dangerous karst processes at the site and features the excess of maximum acceptable parameters in time interval of NPP operation, which can cause a risk of natural and man-made disasters. Keywords: karst, karst danger, nuclear power, Nizhny Novgorod NPP, EIA. Gvozdetskiy N.A. The nature of the world. Karst. – Moscow: Mysl, 1981. – 214 p.
The Report «Assessment of the impact on the environment for the Nizhny Novgorod NPP». Energoatom, 2009. – 419 p.
Kuzichkin O.R., Tchaikovskaya N.V. 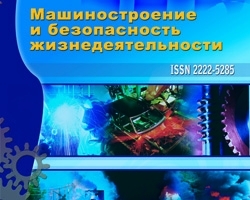 Features of the organization of geodynamic monitoring of nuclear power plants in the karst areas // Proceedings of the meeting «Nizhny Novgorod NPP – addressing the energy security of the Nizhny Novgorod and Vladimir regions». Nizhny Novgorod, 2010. TSN 22 308-98 NN «Engineering survey, design, construction and operation of buildings and structures on karst areas of Nizhny Novgorod», 1999. Kuzichkin O.R., Tchaikovskaya N.V. Research report «Execution of works on scientific and methodological support assessments of infestation area NPP and concept development organization karstological monitoring Nizhny Novgorod NPP using geophysical methods for monitoring geologic environments». – Murom: MI Vladimir State University, 2010. – 168 p.
NP-064-05 «Accounting for external impacts of natural and man-made objects on the origin of the use of nuclear energy». Tolmachev V.V. Accounting karst hazard siting of the NPP in the light of regulations the Atomenergosupervision and IAEA // Proceedings of I Sergeevskiy reading. Vol.12. – Moscow: Publishing House of the Peoples Friendship University, 2010. – P. 182-185. Website of «Energoatom» Concern. http://www.old.rosenergoatom.ru. Accommodation problems of Nizhniy Novgorod NPP in Monakovo, Kuzichkin O.R., Kuzichkina E.O., №3 (17) 2013, Sharapov R.V., Tchaikovskaya N.V.